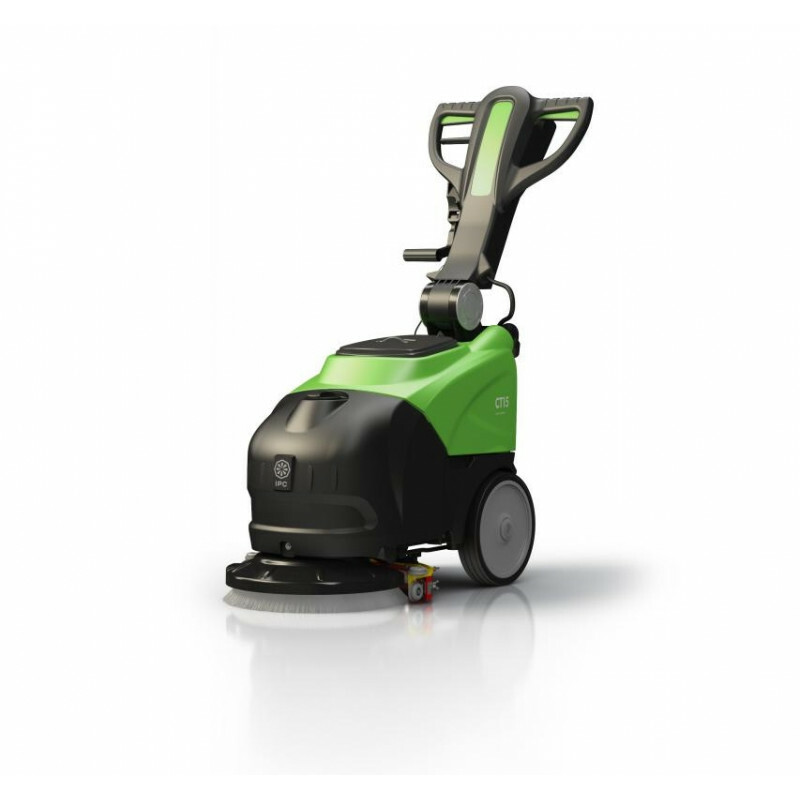 The IPC Eagle CT15 is an easy to use portable floor scrubber that is perfect for smaller areas such as offices, bathrooms and hallways. Thanks to its compact size, this unit offers superior maneuverability in tight areas. Weighing in at only 130 lbs., it can be easily transported from one job site to the next. The 4 gallon solution tank and 5 gallon recovery tank provide continuous scrubbing for extended periods while the battery power lets you clean anywhere without having to depend on an outlet. The nylon scrub brush that comes with the unit, can be used on any type of hard floor surface. A curved squeegee recovers all the solution, even in the tightest turns. Removable recovery tank allows for easy emptying through the recovery hose into any nearby sink, toilet, or bucket. Check out the other great commercial floor scrubbers that we carry including this machine's big brother, the CT30 18 inch battery scrubber. There's sure to be a floor cleaning machine that's perfect for your floor care needs. Compact body style allows for scrubbing in hard to reach areas. Solution control with automatic stop (Solenoid valve) for maximum efficiency. Removable recovery tank for easy cleaning. Height-adjustable handle makes it comfortable for any user. Easy-to-use control panel allows any user to quickly start using the machine and feel comfortable. Brush control with delayed automatic stop. High quality performance vacuum for maximum solution recovery. Easy to transport with the large rear wheels.